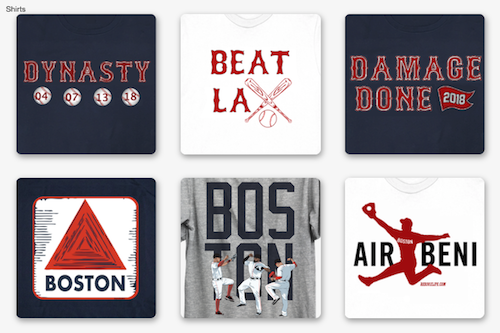 The Boston Red Sox are six games into their 2018 campaign and all in all, things are going well. The Sox went 3-for-4 in their opening series against the lousy Tampa Bay Rays and then put away the barely-an-MLB-team Miami Marlins in two games. Granted, both of those teams aren't projected to make an ounce of noise this year, but the Red Sox at least got the job done. After the seventh inning in game one against the Rays, things went a bit astray but other than that, I'd say the 2018 Sox have started out on the right foot. Here are five observations that I've noticed with this team thus far. Arguably the most notable stat line after the Rays series was Xander Bogaerts leaving Tampa Bay with five doubles, a home run and a .471 batting average. Bogaerts did cool off a bit in Miami, as he went 0-for-6 in last night's 13 inning marathon that saw the Sox come out 4-2 winners. Despite last night's tough performance, he still leads the team in batting average at .357. His swing looks a lot better than it has in the past and he's hitting for power. Obviously I'm not the hitting coach for your Boston Red Sox, so I'll let someone a bit more qualified break down why Bogaerts is hitting better. 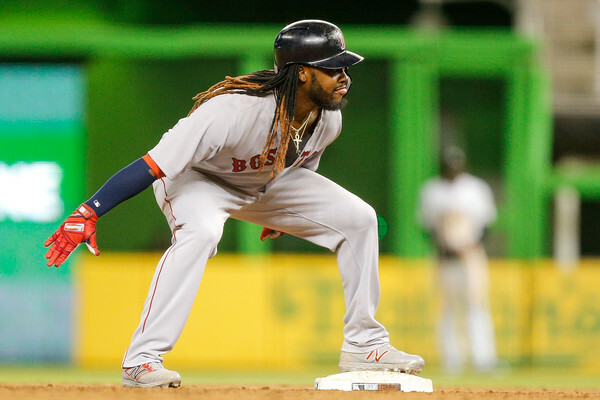 "What happens is that his first move now is that he loads under his hips, and under his body before he goes forward," said Red Sox hitting coach Tim Hyers to WEEI.com. "In the past he just goes, so your feet get outside your hips really quick. He was getting outside of his frame pretty quick. When he gets outside of his frame he has a chance to be wobbly. "The whole idea is to load under your hips before you go forward. In Spring Training, he was trying to find that move and then it synced up his hands, so your upper body and lower body are working together." Too in-depth for you? Let me dumb it down: Bogaerts is hitting better because his technique is there. Coming into this season, there was a lot of doubt surrounding Bogaerts' play and future with the team. After the All Star break last season, Bogaerts hit a dim .235 with only 14 extra-base knocks. In 2017, he hit only .273 with 10 home runs, which was a huge downgrade after two straight Silver Slugger awards in 2015 and 2016. The reason for Bogaerts' lack of offense last year came from his lingering hand injury that he dealt with all season long. Nonetheless, Bogaerts seems to be back in full-force this year which would be a huge boost to the Red Sox's offense. One of the big question marks to start the season was whether or not there was enough depth in the starting rotation. With Drew Pomeranz, Steven Wright and Eduardo Rodriguez out to begin the year, things weren't looking great after the first three spots in the rotation. To a lot of people's surprise, the Red Sox's starting pitching has dazzled thus far. And look, I get it: they were facing the Rays and Marlins which showcase two horrid offenses. Despite all of that, it's still a huge confidence booster. Out of the six starts thus far, all have been great but none as impressive and important as David Price's. Price went out and tossed seven innings of shutout baseball alongside only four hits and five strikeouts. Even more impressive was his pitch count, which stood at 76 pitches by the time his day ended. That right there is tremendous efficiency. Also to note in that game was the Red Sox only gave him one run of support, as they won 1-0 over the Rays. It's no secret that Price had a rough 2017 and that's where the importance of this start comes in. Had Price gone out there and gotten shelled in three innings of work or even only went 5 2/3 innings giving up four runs or so, he would've gotten slammed with criticism and 2018 would be walking down the same path 2017 did. 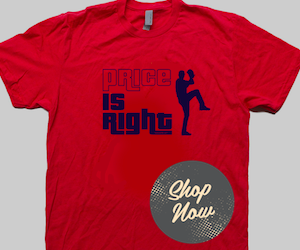 But instead, Price was amazing from start to finish and seems to have regained Red Sox nation (or at least partially). Throughout Spring Training, Price consistently harped on how well he felt and that he's never felt this good. The other starters have been great as well. Brian Johnson's six-inning win on Monday night over the Marlins was a huge booster for him. Hector Velazquez and Rick Porcello also turned in great performances on their first tests. Chris Sale has two no decisions but he's pitched well in both. The best thing about both starts is how well Red Sox manager Alex Cora has kept his pitch counts low and has really committed to conserving his best stuff for season's end. Going into this season, there was a log-jam in the outfield with Mookie Betts, Andrew Benintendi, Jackie Bradley Jr, and J.D. Martinez. At DH there's Hanley Ramirez and Martinez. At first base there's Mitch Moreland and Ramirez. All are bats that should be in the lineup but not all can be. And that's still the case. But, one eye-opening thing from last night's lineup against the Marlins was that without the DH hitting, Cora elected to go with an outfield of Bradley, Benintendi and Martinez. As good an outfielder as Bradley is (supported by his tremendous diving catch in the second inning), Betts is an MVP-caliber hitter. They need his bat in the lineup. To see Cora opt with Betts to sit rather than sit Bradley means that throughout the rest of the season, he will alternate who's sitting during what games. The Red Sox have three of the next five days off so there shouldn't have been any need for a day of rest for Betts. Nonetheless, it's clear that Cora will be sitting everyone at some point and more than just their scheduled days off. 4.) Should we be worried about Benintendi? Through his first six games, Benintendi is 3-for-19. In the two-game series with the Marlins, he seemed to regain his footing after a series against the Rays that saw him go 0-for-11. Just judging off of the eye-test, Benintendi is seriously lacking in power. His first hit of the season was a dribbler down the first-base line that fell in for an infield single. There isn't that pop that's typically associated with him when he makes contact. In Spring Training, Benintendi batted .391 with four home runs and a .804 slugging percentage. I know Spring Training numbers don't matter, but still. It's weird to see him go from that good to that bad in such a short amount of time. Most likely, it's just a small slump at an inopportune time. No one likes to start the year in a slump but there's no doubt that Benintendi will return to form as soon as possible. Many look at this as a year Benintendi could possibly breakout and become an MVP candidate. If Benintendi continues to struggle, then it's worth worrying. But for right now, it's not time to panic. This last observation comes from two specific instances. One was the first game and the other was last night's game. On Opening Day, the Red Sox were up 4-0 until Joe Kelly came in and threw up all over himself in the eighth inning. Carson Smith's follow-up performance was almost as poor, as the Red Sox went from being up by four to down by two in the eighth and lost 6-4. In the eleventh inning of last night's game, us Red Sox fans wanted the game to be over. Up 2-1, it was already the eleventh inning and these long, extra-inning games are insufferable especially in April. But Matt Barnes had other plans. Barnes got two straight outs, then walked two and gave up an RBI double to left field to tie the game. Thus far, the Red Sox haven't been great at holding leads. As the season progresses, expect one person to get hot and be labeled the set-up man. Also, Craig Kimbrel has looked great. Overall, this team's got a lot to like about them. The starting pitching's been impressive, the offense has been good enough and the team morale seems to be high. And even better: their celebrations all involve Fortnite. What's not to love? Follow Evan Marinofsky on Twitter @emarinofsky.